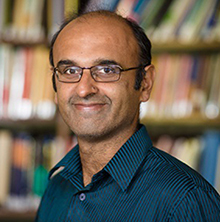 As Professor of Ecosystem Science at the School of Geography and the Environment and Programme Leader of the Ecosystems Dynamics Laboratory at the Environmental Change Institute, and co-ordinator of the Biodiversity and Conservation Research Cluster in the School of Geography and the Environment, Yadvinder’s research interests focus on understanding the functioning of ecosystems and how it is altered by processes of local and global change. He has a particular interest in tropical forests. 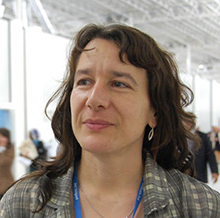 Connie McDermott’s work at ECI and the Oxford Centre for Tropical Forests includes an emphasis on the integration of forest governance into the global climate regime. Recent research directions include the examination of Reduced Emissions from Deforestation and Degradation (REDD) initiatives, and the role of both pre-existing and new forest institutions for addressing REDD-related environmental and social mandates. 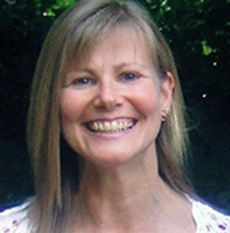 Jane is responsible for co-ordinating the Oxford Centre for Tropical Forests. She organises a series of seminars each term, maintains the OCTF website and Facebook page and produces a weekly OCTF e-newsletter. Please email her at jane.applegarth@eci.ox.ac.uk if you would like to be added to the OCTF mailing list.